AT&T (NYSE:T) published a mixed set of Q2 2018 results on Tuesday, beating market expectations on earnings, although revenues fell short of consensus, as it reported its first quarterly results since the close of its mega-merger with Time Warner. In this note, we take a look at what lies ahead for the company’s content and advertising businesses going forward. We have created an interactive dashboard analysis which outlines our expectations for AT&T (standalone) over 2018. 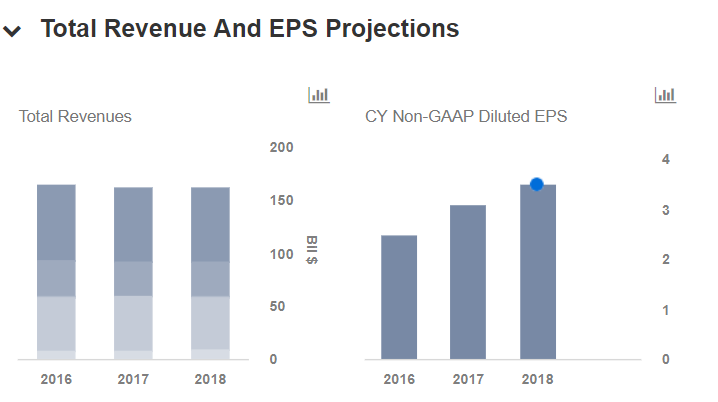 We are in the process of updating our model for the earnings and TWX acquisition. AT&T indicated that it would be investing significantly in developing premium content via HBO, while also increasing its direct-to-consumer distribution options. The company has noted that it was looking to increase investment in HBO’s content by approving additional projects already in the development pipeline, as it looks to create a more consistent schedule and drive down consumer churn. Premium programming platforms often have an issue of customers signing up for subscriptions and then canceling them over the course of the year in order to just watch the seasons of their favorite shows. AT&T is also looking to push deeper into the direct-to-consumer business, as it believes that the wholesale business model for media companies could be more difficult to sustain over time. AT&T appears to be well-positioned in this regard, considering that it has roughly 170 million direct customer relationships including its AT&T wireless and DirecTV customers. AT&T is also looking to double down on the advertising business following its acquisition of Time Warner, with plans to improve the ad experience for consumers while increasing targeting efficiency for marketers. The company’s ad inventory has grown significantly following the deal, with the Turner networks (which include CNN, TNT and TBS) holding an ad inventory that is about three times as large as its DirecTV inventory. AT&T is particularly interested in data-based advertising, including addressable TV ads (which play different TV ads for different households), considering that ad yields on targeted ads could be three to five times those of conventional ad spots. The company is looking to improve the experience for customers as well, by potentially allowing multi-device targeting, which allows people to watch sponsored content on their cell phones while avoiding traditional ad breaks on TV. In June, the company announced that it would be purchasing ad tech platform AppNexus, which operates one of the largest digital ad exchanges, and it’s possible that deals such as these could help the company speed up its execution.